The city of Battle Creek is known for its' cereal history, but did you know that Del Shannon played his hit song, "Runaway" in Battle Creek for the first time? Charles Westover, aka Charlie Johnson, completed his service in the Army and settled in Battle Creek, Michigan working as a carpet salesman and truck driver. He found part time work as a musician at the Hi-Lo Club in Battle Creek. Westover eventually took over a band and became Charlie Johnson. It wasn't long before he was noticed and signed to the Big Top label. It was at this time that Charlie Johnson became Del Shannon. The Hi Lo Club is no longer in existence in Battle Creek, but it was located on Capital Avenue in downtown Battle Creek inside the LaSalle Hotel. There are excellent pictures at the Del Shannon Hi Lo Club website. The marker above is at the original site of the Hi Lo Club. It is a Michigan Historic Site. Now you know that Battle Creek is known for more than its' flakes, cereal flakes, that is. Mr. and Mrs. George Dyer returned Friday, after spending a week at the home of his brother, William Dyer of Raisin. Their little child has been very sick with the grip and measles. The above newspaper clipping was found in the Adrian (Michigan) Daily Telegram on 27 February 1908. George and William Dyer are the sons of William G. Dyer and Mary Ann Swallow, my third great grandparents. George and William had a sister, Adeline, who was my second great grandmother. William Dyer and his wife, Frederica had two sons in 1908: Harold, age 3, and Howard, age 1. I do not know which child was sick, but I imagine having the measles in 1908 was a scary thing with the young ages of the boys. Grip is another name for flu. Raisin is a township in the county of Lenawee in Michigan. It is about six miles from Adrian, where George lived at the time. Z.M. Fenn is Zalton M. Fenn, the son of Daniel C. Fenn and Elizabeth Poor Fenn, my great grand uncle. 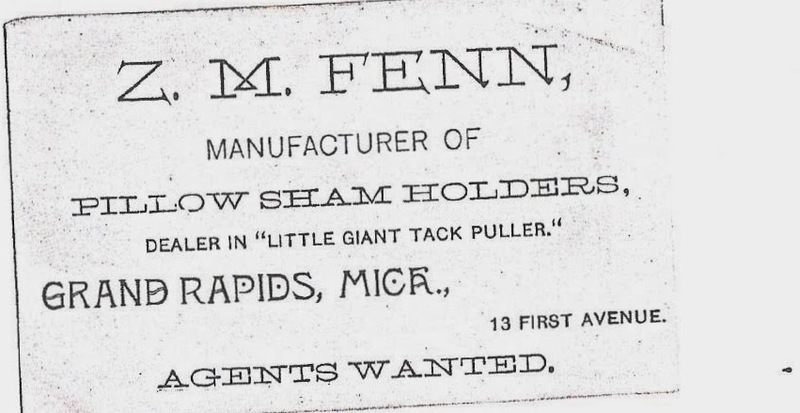 His business card, above, states that he was a manufacturer of pillow sham holders and a dealer in 'Little Giant Tack Puller' in Grand Rapids, Michigan. Zalton lived from 1850-1908. I am not sure what year or years that he was employed in this business. I am envisioning the tack puller would be used on the tacks that are on upholstered chairs. It looks like I need to check Grand Rapids City Directories to see when he was in business. This card was found in his grandmother's, (Huldah Rowley Fenn) Bible. Genealogists have been known to search for hours for that one piece of elusive information about their ancestor. Census records are often the first records we look for when researching our family. Before you spend hours looking for an ancestor in the United States Census, you want to make sure what you are looking for survived. We all know about the loss of the 1890 Census, but did you know about other census losses? About one third of this census was lost. Delaware, Georgia, Kentucky, New Jersey and Virginia were burned during the War of 1812. Georgia, Indiana Territory, Kentucky, Mississippi Territory, New Jersey, Northwest Territory, Virginia, Tennessee, and Alexandria County, District of Columbia have suffered losses. District of Columbia, Georgia, Indiana Territory, Mississippi Territory, Louisiana Territory, New Jersey and Tennessee suffered losses. Arkansas Territory, Missouri Territory, and New Jersey suffered district wide loss. Alabama (half of the counties) and Tennessee (about 20 eastern counties) were lost. Losses include the counties of Contra Costa, San Francisco, and Santa Clara-all in California. The Indian Territory, which is Oklahoma now, did not enumerate non Native Americans. Major losses, less than one percent of the schedules survived. No complete state, county or community schedules survived. A few fragments can be found. A list of what survived can be found at Family Search. Don't despair if you are looking for census records in lost counties. Substitutes can be found through tax lists, state census records, and other Census schedules. I am an organizer! I enjoy being organized around the house and with my genealogy. One of the things that helps me in my research is to create charts. My "Where in the World" posts help me see where I have gaps in my research. I hope it helps you, too. Nancy Mast Graf's chart is a short one as she died at the age of 36. If you are related to Nancy Mast Graf, please leave a comment. I enjoy hearing from 'cousins'. Where in the World is Nancy Mast Graf? Legacy Family Tree and Karen Clifford presented an excellent webinar in February of last year titled, Pre 1850 U.S. Research Methodologies. It was at that time that I added Ms. Clifford's book, Digging Deeper: Using Essential Pre-1850 Records to my wish list. I got her book for Christmas this past year. I finished reading it this past weekend and found it to be an excellent genealogy resource. The brick walls that I have fall in this period of research. The time when only the head of the household is enumerated in the census. Digging Deeper provides the reader with alternatives to census research. The reader will learn how to use census, tax, probate, land, military and cemetery records. You will learn how to glean information from newspapers and periodicals. Helpful tips on reading handwriting is included in chapter two. In depth detail about land and military records will help many researches. If you are looking for a good reference book for your use, I recommend Digging Deeper. I tagged numerous tips as I was reading it, and look forward to going back over those tagged spots. 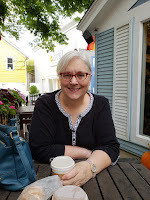 Recently, Mary Bernthal started blogging at FrankenGen. Mary's blog is a wonderful look at the genealogy of the Saginaw Valley's Franconian Settlement. Four colonies from Franconia, Bavaria, Germany settled in the Saginaw Valley in Michigan: Frankenmuth, Frankentrost, Frankenlust and Frankenhilf. Frankenmuth is called "Michigan's Little Bavaria" and Frankenmuth means courage of the Franconians. FrankenGen is a place for resources, stories, history, and genealogy of this area. The area, especially Frankenmuth, is rich in history. 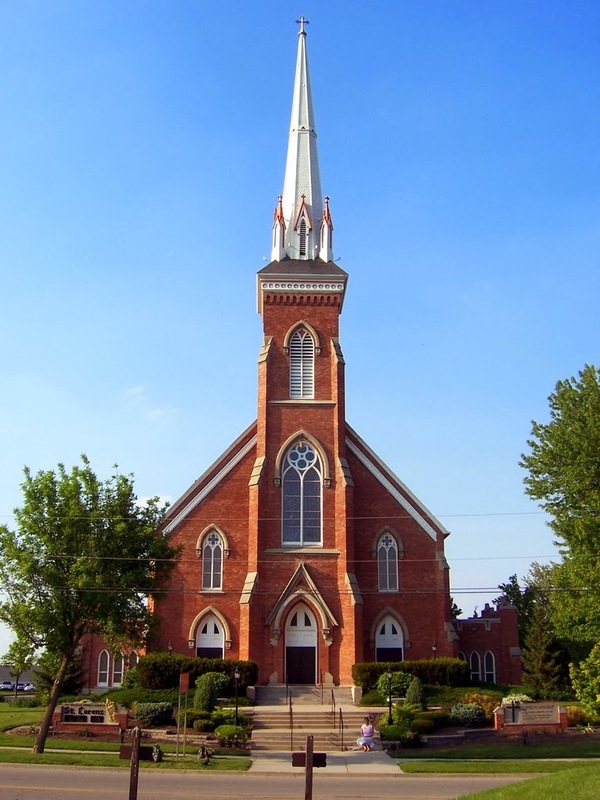 Mary plans to share her knowledge about German Lutheran Genealogy in the American Midwest with her readers also. I have lived in Michigan all my life and Frankenmuth is one of my all-time favorites Michigan cities to visit. I look forward to reading more about the genealogy and history of the area. I already have expanded my knowledge of the area by reading her blog. Peril on the High Seas: The Voyage of the Bark Caroline: Mary shares the adventures that the first settlers to Frankenmuth experienced on their voyage from Germany to America. She provides references for further reading. Passing of the Last of the Old Pioneers: A post on Johann Leonhard Bernthal, the last original Frankenmuth pioneer. 3 Free Local Newspaper Archives: Links to three newspapers of the area will help those who want to research in the Saginaw Valley area. FrankenGen is a well written blog and one that I hope you will read regularly. A list of surnames Mary is researching is included. Mary is participating in some of the geneabloggers themes too. Whether you have Franconian ancestors or not, check FrankenGen out, you won't be disappointed. Reading genealogy related materials has been an important part of my growth as a family historian. I love to read! I am the type that when I take on a new challenge, such as genealogy, I research what I need to do before I start. I read online articles and visited the local history section of my public library. Many of the books at the library were unavailable for checkout. It wasn't long before I wanted to build my own library. There were a few books that I would go back to again and again at the library. Those are the ones I started adding initially. I don't remember what the first book I bought was, but I would guess it was either Red Book or The Source. I know both are available online at ancestry, but I wanted my own hard copy of it. As I became more proficient in beginning genealogy research, I was encountering a few problems-brick walls, anyone? It was then that I looked for resources that would further my education on what was challenging me in my research. This is when I added The Family Tree Problems Solver books and Courthouse Research for the Family Historian. Next, I found I was doing a lot of New England Research. I added general New England books to my library. When it was time to 'jump the pond' and look for my European ancestors I found I was doing a lot of German Research. I took a four hour German Research workshop at the FGS conference, in 2011, and was given a lot of German resources to check out. Again, I found myself at the library and at Allen County Public Library in Fort Wayne. I reviewed the recommended resources. I made a list of the ones I thought would be useful and added them to my library as I could. FGS Conference in Fort Wayne came along in 2013 and I was once again wanting to add to my library. I attended a Scottish research class, given by Paul Milner, he humbly recommended his book "A Genealogist's Guide to Scottish Ancestors", but he said it was out of print. I, immediately, got online to see if I could find a used copy of it and did for about $3! I have stayed away from published genealogies for a variety of reasons, but early in my research I found a Glover Memorials and Genealogies book. I had to order it, it is my maiden name. It has been interesting to read through it. I use it for guidance, but always look for a credible source before adding it to my Roots Magic software. As with any source, some of the information is accurate and some is not. I don't use my books everyday, but it is nice knowing when I am up late at night researching, I can go to my bookcase and look up questions I might have. Buying books can be an expensive habit, but I have found ways to build a library without mortgaging our house. Here are a few tips I have used to save money. Ask for books as gifts-Make a wish list and give it those who buy gifts for you regularly. I would never spend $50 on a book myself, but my mother would as a Christmas gift. Used Book Stores-I don't have a good used book store in my hometown, but if I go somewhere that does, I make sure to check it out. I have found good deals here. Thrift Stores-I enjoy checking out my local thrift stores for books. You never know what you might find. I found a used copy of "Genealogical Proof Standards" for 50 cents. I couldn't turn that deal down. Online buying-Check out places like half.com, amazon.com, or barnes and noble.com. The out of print Scottish Ancestor book was found at Barnes and Noble.com. I have added quite a few used books that I purchased at half.com. Half.com has new and used books at discount prices. Half.com descriptions of condition are pretty accurate. They will say if it is a used library edition. My "Researcher's Guide to American Genealogy" was a discarded library book in excellent condition. It has the call number sticker and library address stamp on it. I think I paid $7.00 for it. Look for sales-I regularly check sites such as Family Roots Publishing or Genealogical Publishing Co. to see what books they have on sale. Visit library sales-Our public library has a sale every year and I try to go to it to see what they have to offer. I haven't found very many genealogy books at our library, but my daughter and I went to the Newberry Library's sale in Chicago and I found a few. I found "In Search of Your German Roots" and Finding Italian Roots". They had quite a few genealogy and local history books there. The prices were very reasonable too. Are you more interested in online books than hard copies of them? If so, be sure to read this excellent article on ten online resources, many of them free. I find that if I keep going back to a book over and over again for information then it is time to add that book to my library. I use online book resources for printed town or county histories and other historical books about an area my ancestor lived in. No matter how you get your information, online or hard copy, it is important to include reading in your genealogical development. If you would like to see what is in my library, check the My Library tab at the top of the page. Source: Manistee News Advocate-Manistee Daily Advocate, 26 December 1930, page 3; column 4, microfilm owned by Manistee Public Library, Manistee, Michigan. Mrs. Amelia E. Engelhuber, 88, a former pioneer resident of Manistee, passed away at 8 o'clock Christmas eve at the home of a daughter, Mrs. Charles Schodel, at Saginaw. Death was caused by a stroke of paralysis which she suffered earlier in the day. Mrs. Engelhuber came to Manistee when a young woman and lived here through the early lumbering days of the city. She resided here until 10 years ago, when, following the death of her husband, she went to live with Mrs. Schodel. Mrs. Engelhuber experienced the Great Fire which destroyed Manistee in 1871. During her residence here she made her home on Lincoln Street. Four sons and three daughters survive. Their names are Otto Engelhuber of Detroit; Edward, Henry and George of Milwaukee, Mrs. Joseph Both of Hastings, Mrs Schodel, Saginaw, and Mrs John Willars, Cypress and Fifth streets, this city. She leaves 14 grandchildren and three great grandchildren. The funeral will be held from the Lundquist Funeral Home here tomorrow afternoon at 2:30, rev. J. H. Todt officiating. Burial will be in Oak Grove cemetery. Amelia Fredrich Engelhuber is the daughter of Christoph Fredrich and Susanna Koenig, my maternal second great grandparents, making her my Great Grand Aunt.